Plan your day as you like. Attend a performance; start a new hobby or take a class. You may also join your neighbors in stepping out to see a movie or a play. Experience a full calendar of planned events with many opportunities to share your passions for art, music, food and fitness. You may find the most difficult part of your day will be deciding what you choose to do. Feel good in knowing that you have chosen a community where wellness is an important part of each day. 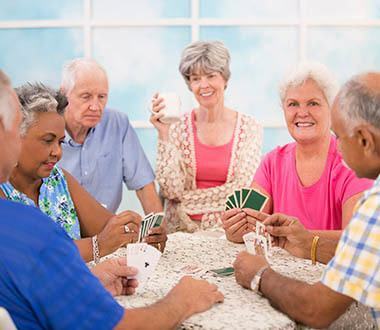 Here, residents find that eating well-balanced meals, and participating in a supportive and fun environment can greatly improve their sense of well-being. At Pasadena Highlands, our commitment to healthy living is evident in everything from our peaceful surroundings to our daily exercise and fitness programs. Most of all, we are committed to helping you feel your best.